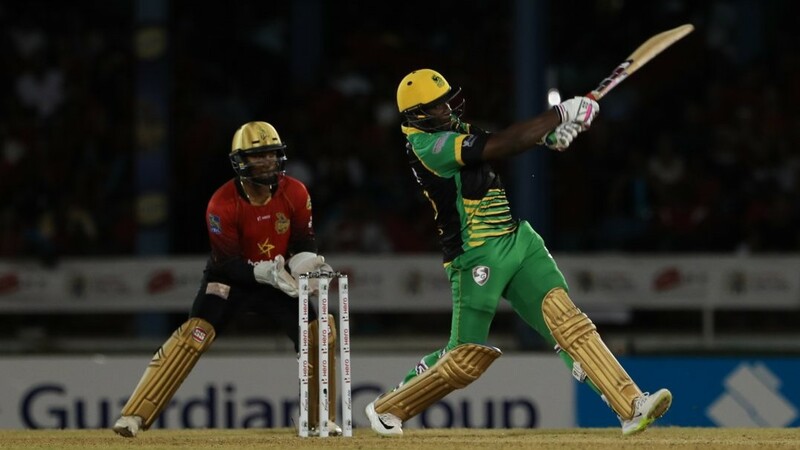 After Andre Russell’s miraculous one-man show to see off the Trinbago Knight Riders it was far more of a team effort as Jamaica Tallawahs secured a second Hero Caribbean Premier League (CPL) victory of the season with a six-wicket success over St Lucia Stars, whose long wait for a win goes on. The Stars gave themselves a chance of snapping what is now a 14-match winless streak with a solid batting display. 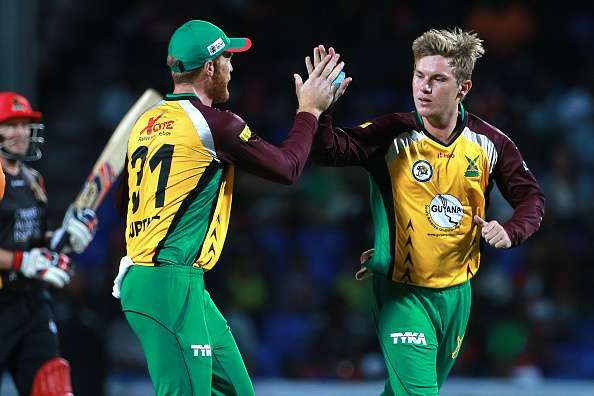 Contributions throughout the order, headed by a 33-ball 43 from opener Andre Fletcher, lifted them to 175 all out – well above the 158 average first-innings Hero CPL score on this ground despite three-wicket hauls for man-of-the-match Adam Zampa and Oshane Thomas. But it wasn’t quite enough. Tallawahs keeper-batsman Glenn Phillips smashed six Hero Maximums in his 58 off 40, with an opening stand worth 81 inside eight overs with Johnson Charles (31 off 20) to break the back of the chase. Despite some stumbles, Jamaica always looked favourites to get home from there on. 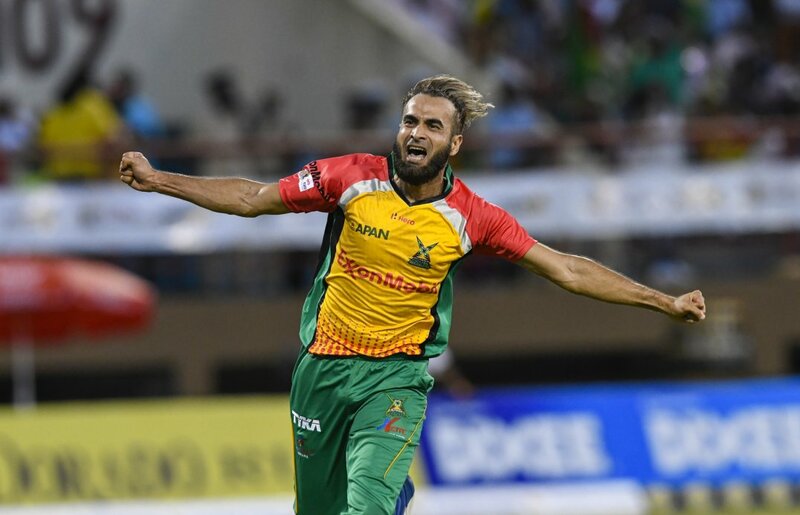 Phillips had already hit two sixes when he really injected some pace into the Tallawahs’ run-chase in the final over of the Power Play, launching successive deliveries from leg-spinner Qais Ahmad over the leg-side ropes before crunching the very next ball through square-leg for four more. A fifth Phillips six followed in the next over, a length ball from Mitchell McClenaghan given the treatment, before the big New Zealander got through to a 34-ball half-century with a chip over the infield for two. Obed McCoy applied some pressure, conceding just a single from his first over, but normal service appeared to have resumed when Phillips again cleared the ropes off Hodge. But McCoy struck in his second over, ably assisted by a smart low catch from Kesrick Williams at third-man as Phillips looked to uppercut a short ball into the stands. Andre McCarthy and Rovman Powell continued the charge, though, with both men clearing the ropes within the first eight balls of their partnership. Every time it looked like the Stars might be able to get back in the game, the Tallawahs had the answer. McCarthy lost all momentum to his innings, and the Stars were dreaming of victory once more when the required rate crept up to 10 an over from the last five when McCarthy fell for 20 to a superb catch from Pollard in the deep. The grateful bowler McClenaghan roared in delight, but within four balls all the momentum was back with the Tallawahs as Powell dispatched McCoy for a six and two fours. With 19 runs altogether coming from what would prove a pivotal 16th over, the target was suddenly a far more comfortable 32 from 24. Powell hit four sixes in all in his unbeaten 43 from 23, but there was still one more nervy moment to survive after Russell holed out early. A target of 13 from 15 balls became eight from the final over as Ross Taylor struggled to get bat on ball. With just one run coming from the first two balls of Pollard’s final over, the Stars again had a sniff. Again it proved illusory as Taylor smeared a six over square-leg to bring the scores level before scrambling a single to complete the victory. Earlier, David Warner’s lean run for the Stars continued when he dragged a full, wide one from Thomas into his stumps from way outside off for just 7, but Fletcher and Lendl Simmons picked up the baton. Fletcher clipped Santokie effortlessly off his pads for six over square-leg before taking Thomas for back-to-back fours. Fletcher was handed a life when McCarthy put down the simplest of chances at square-leg. Simmons was a spectator through that drama but then struck a six and a four from Imad Wasim’s first over of the night. Russell brought himself on but couldn’t halt the charge. Simmons picked up six over long-off before Fletcher found the square-leg boundary as the score raced to 54/1 after the Power Play. The boundaries continued to flow, with Fletcher levering Imad over wide long-on for another Hero Maximum as the 50 partnership came up in 32 balls, but Simmons perished soon after as he carved Russell to Johnson Charles at deep point. Australia leg-spinner Zampa turned things the Tallawahs’ way with two wickets in his second over. Fletcher fell short of a half-century on 43, holing out to Russell at long-off, before Mark Chapman was completely bamboozled and bowled by a pitch-perfect googly first ball. With the score now 89/4 and over half the innings gone, a promising start was in danger of being squandered as seasoned all-rounders Pollard and Sammy took on the task of getting the Stars to a decent total. Both made starts but both fell in similar circumstances after miscuing attempted big hits to Ross Taylor on the edge of the ring on the off-side. Pollard was the first to go for 26 from 22 to hand Zampa his third wicket of the night, while Sammy did clear the ropes three times in his 24-ball 36 before becoming Thomas’ second victim. McClenaghan fell in bizarre circumstances to the very next ball, bowled attempting to ramp a high full-toss that cannoned into the top of off stump. Kavem Hodge hit his first two balls for four and Ahmad launched a huge six onto the roof before becoming Krishmar Santokie’s first victim. Hodge’s late cameo continued as he top-edged a pull over Phillips for four to end the 19th over before smearing a flat six over midwicket in the final over. His eight-ball blast brought 21 runs to boost the final total. Still, though, the Stars came up short. They will have home advantage when they next aim for that elusive victory against the Knight Riders in two days’ time. Summarized scores: St Lucia Stars 175 off 20 overs (Fletcher 43, Sammy 36, Pollard 26; Zampa 3/27, Thomas 3/39, Russell 2/48) vs Jamaica Tallawahs 176/4 off 19.4 overs (Phillips 58, Powell 43 not out, Charles 31; Pollard 1/22, McCoy 1/26). Jamaica Tallawahs win by six wickets with two balls to spare. ​​​​​​​Upcoming Fixtures: Wednesday 15 August – Jamaica Tallawahs v St Kitts & Nevis Patriots (6pm), Sabina Park, Thursday 16 August – St Lucia Stars v Trinbago Knight Riders (8pm), Darren Sammy National Cricket Stadium.